The Bears are freeing up some cap space. 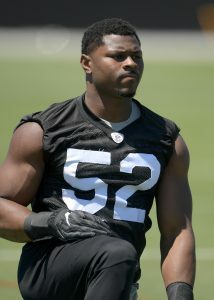 Chicago is restructuring defensive end Khalil Mack‘s contract, a source told Field Yates of ESPN.com (Twitter link). Yates writes that the move will create $11MM of cap space “by converting $13M of Khalil Mack’s base salary & roster bonus into a signing bonus.” It’s a win-win as Mack will get more money upfront, while the team will have some added flexibility. The $13MM will now be spread out over the course of Mack’s contract for cap purposes . Yates also notes that the Bears are positioning themselves to make more moves in free agency. They signed cornerback Buster Skrine and made a couple of other minor moves like signing running back Mike Davis and re-signing tight end Ben Braunecker, but it sounds like they’re still looking to make a big splash. So far the story of Chicago’s offseason has been departures rather than acquisitions. Safety Adrian Amos left for the division rival Packers, while cornerback Bryce Callahan is expected to sign elsewhere. It’ll be very interesting to see what the Bears decide to do with this extra cash. We know that soon-to-be-former 49ers linebacker Reuben Foster was arrested on a domestic violence charge last night following an incident at the team’s hotel in Tampa Bay, and that the team is going to put Foster on the waiver wire tomorrow. GM John Lynch has since given an interview on the situation, and he indicated that the decision to cut Foster was made because Foster failed to uphold the standards set for him after the issues he had earlier this year (Twitter link via Nick Wagoner of ESPN.com). Lynch added that he and team ownership agreed on the move. Matt Barrows of The Athletic provides a series of tweets with more detail on the Foster incident and Lynch’s reaction to it. Former NFL agent Joel Corry notes that the 49ers will carry roughly $2.35MM in dead money for Foster on the 2019 cap (Twitter link). Foster’s two-game suspension that he served at the beginning of this season wiped out his base salary guarantees, so the dead money figure stems entirely from signing bonus proration. In two separate pieces, Mike Florio of Pro Football Talk examines Foster’s chances of being picked up by another club. Florio notes that any team interested in Foster’s services would first want to know if the league plans to place Foster on the Commissioner Exempt list, which is a device for keeping players off the field when those players face certain types of criminal charges, including allegations of domestic violence. A player cannot be placed on the list unless he is on a team, but he would be eligible to be paid during his stay on the list. Any team is free to call the league office to determine what its intentions are with respect to Foster, but unless the league is able to definitively say that Foster is not a candidate for the list — which seems unlikely — it does not appear that Foster will be claimed on waivers. It also seems that no one will be interested in signing Foster even when he clears waivers until his status with the league is determined. We knew that the 49ers were interested in trading for Khalil Mack before he was dealt to the Bears, but we also heard that San Francisco had simply been outbid by Chicago. However, Lynch indicated during a radio interview with 95.7 The Game on Friday that he continues to believe that the 49ers had a better offer on the table for Mack (audio link). To get Mack, the Bears gave up two first-round picks, a 2019 sixth-rounder, and a 2020 third-rounder (though some draft capital came back to Chicago as well), so Lynch is apparently suggesting that he was prepared to give more than that to land the elite defender. Wide receiver Marquise Goodwin traveled with the team to Tampa Bay, but he is not present for San Francisco’s matchup with the Bucs, as Adam Schefter of ESPN.com tweets. Goodwin was reportedly excused from the team to address a personal matter, and he was also excused from practice earlier this week due to a personal matter, though it is presently unclear whether it is the same issue. Ahkello Witherspoon, who was selected two rounds after Foster in the 2017 draft, is at something of a crossroads with the 49ers, as Eric Branch of the San Francisco Chronicle writes. Witherspoon has been benched twice this year and has regressed in coverage and tackling after a strong rookie campaign, and while it seems unlikely the 49ers would cut him at the end of the season, his play over the course of the team’s final six games will have a big impact on how aggressively the 49ers pursue cornerback upgrades in the offseason. On Sunday, the Jets will face off against Khalil Mack at Soldier Field. 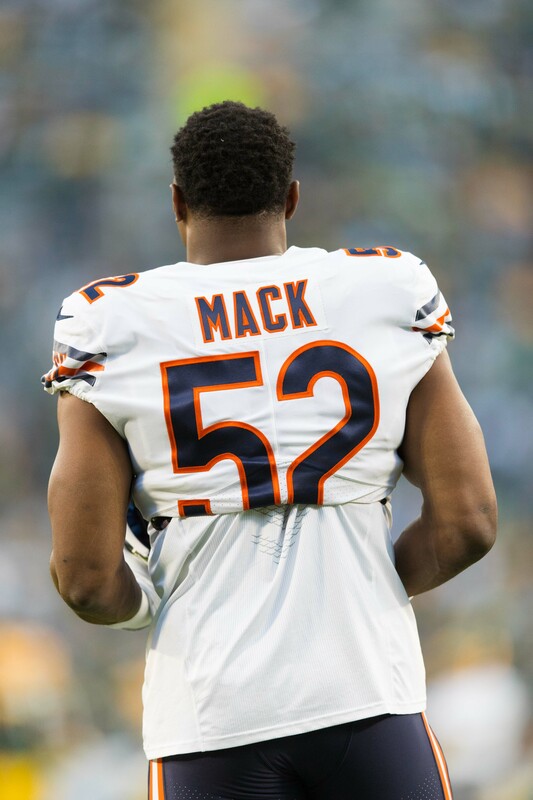 Had things gone differently, Mack could have been on their side in Chicago. The Jets were willing to part with a 2019 first-round pick, a 2020 second-round pick, and more in a trade with Oakland, but the Raiders did not engage with the Jets late in the bidding process that ended with the Bears getting the star defensive end, Manish Mehta of the Daily News writes. Ultimately, the Raiders traded Mack to the Bears for two first-rounders, a 2020 third-rounder, and a 2019 sixth-rounder. The Bears also received the Raiders’ 2020 second-rounder and a 2020 conditional fifth-rounder. The Jets might have been willing to match or exceed the Bears offer. Even now, coach Todd Bowles struggles to hide his affinity for the league’s most terrifying defensive player. The Jets believe that the Raiders did not want to trade Mack within the conference, which led to the Bears deal. The Raiders may have been able to get more out of the Jets, but they did limit their exposure to Mack for a long time by shipping him to the NFC. After the trade, Mack inked a massive extension with Chicago that will keep him in place through the 2024 season. The Jets missed out on the Khalil Mack sweepstakes, but will continue looking for help rushing the passer. They recently brought in outside linebacker John Simon for a visit, although they didn’t end up signing him. New York has also worked out a string of other lower-profile defensive linemen and outside linebackers in recent weeks. Their intention to bring in outside help was recently confirmed by Jason La Canfora of CBS Sports, who writes that acquiring such a player remains the team’s primary objective. He adds that the Jets were even more serious about trading for Mack than was originally reported, and that they would likely have been willing to meet or beat the Bears’ winning offer, which included two first-round draft picks. La Canfora says the Raiders essentially ended the bidding on Mack once they received assurances that Chicago was willing to part with two first-rounders, especially since trading him to the Bears allowed them to get Mack out of the AFC. But the Jets have a ton of cap space and a commitment from ownership, so they will continue to leave no stone unturned in their pursuit of a QB hunter. Former NFL agent Joel Corry wonders if, next offseason, the Jets could be involved in the first edge rusher tag and trade since Jared Allen was tagged by the Chiefs and traded to the Vikings in 2008 (Twitter link). Whatever happens, expect the Jets to be aggressive in building their roster as they transition into the Sam Darnold-era. We previously heard that the Rams had made a bid on Khalil Mack, but the Raiders rejected the offer because the picks were going to be too low. Tonight, ESPN’s Adam Schefter reported (via Twitter) that Los Angeles ultimately offered Oakland a first- and third-round pick. However, the Rams didn’t see much of a future with Mack, especially after handing Aaron Donald a lucrative $135MM extension. Schefter notes that the team would have turned around and traded the impending free agent (presumably after he inked his franchise tag) this offseason. The team was trying to go “all in” on the upcoming campaign, with the hope that they could pair Mack with Donald, Ndamukong Suh and Michael Brockers. Instead, Mack was dealt to the Bears, who then signed the pass rusher to a six-year, $141 million deal. The 27-year-old had a big game in his debut with Chicago, collecting three tackles, a forced fumble, a fumble recovery, and a pick-six. Aaron Rodgers sat out three series during last night’s contest before leading the Packers to a comeback victory over the Bears. While the quarterback may have tossed three second-half touchdowns, he’s not a sure-thing for next weekend’s game against the Vikings. Head coach Mike McCarthy didn’t give any indications as to whether the team would start Rodgers or backup DeShone Kizer on Sunday. “We do have some information and no decision has been made,” McCarthy said (via Rob Demovsky of ESPN.com). “We’re still collecting all the information.” NFL.com’s Ian Rapoport tweets that Rodgers is pushing to play, and the team will continue to monitor the swelling in his knee as the week goes on. We learned earlier today that Texans cornerback Kevin Johnson was going to miss several weeks as he recovered from a concussion. Fortunately, it sounds like reinforcement is around the corner, as coach Bill O’Brien told ESPN’s Sarah Barshop that cornerback Kayvon Webster is trending in the right direction as he recovers from an Achilles injury (Twitter links). However, the defensive back won’t be ready for next week, and the team will consider moving safety Kareem Jackson to cornerback as they deal with the injuries. 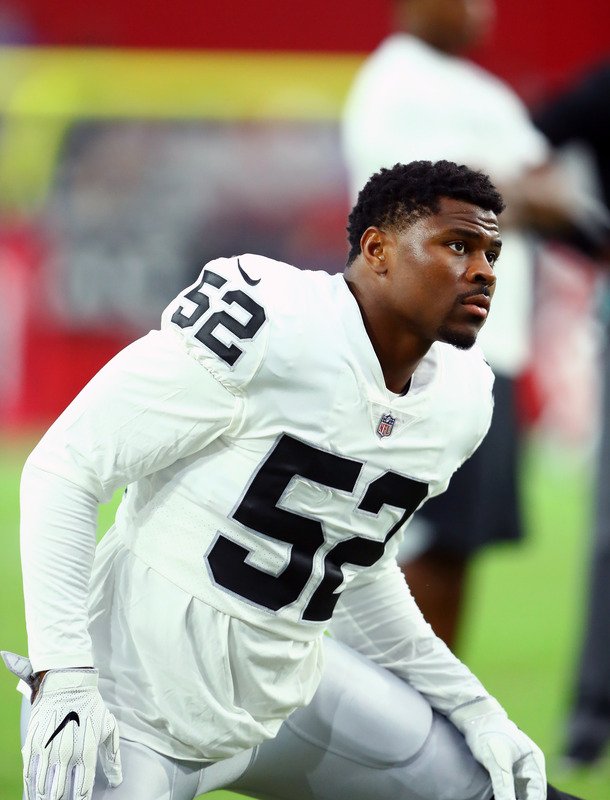 The Raiders could have potentially re-signed edge rusher Khalil Mack to a deal that was cheaper than the six-year, $141MM pact he eventually received from the Bears, according to Jason La Canfora of CBSSports.com. 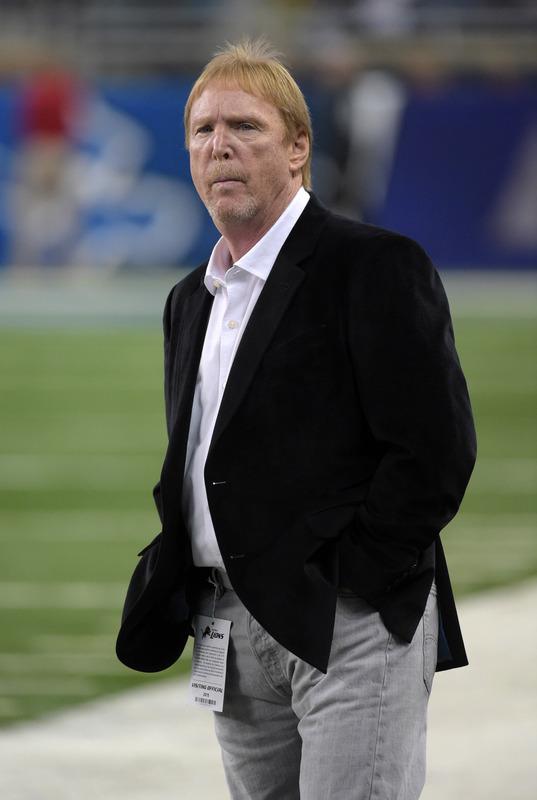 Oakland reportedly sat on a proposal from Mack and his camp for six months, per La Canfora. While the details of the offer are unknown, it clearly wouldn’t have made Mack the NFL’s highest-paid defensive player. And because it would have been signed before Rams defensive tackle Aaron Donald reset the defensive market with a $22.5MM annual average value of his own, Mack’s theoretical deal would have likely come in lower than Donald’s. 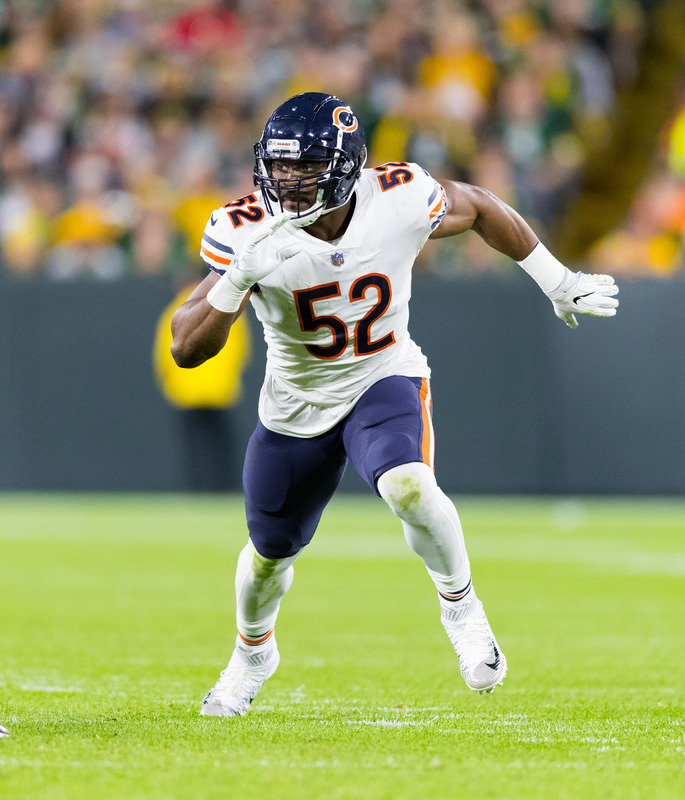 The Raiders agreed to send Mack, a 2020 second-round round pick, and a conditional 2020 fifth-round pick to the Bears in exchange for a 2019 first-round pick, 2020 first-round pick, a 2020 third-round pick, and a 2019 sixth-round pick. 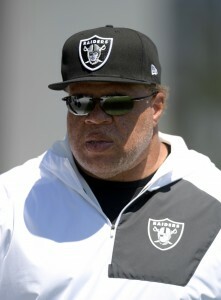 Oakland general manager Reggie McKenzie recently admitted his club’s plan was never to trade Mack, but it became clear a contractual agreement was not going to be reached with the star pass rusher. Last weekend, the Raiders were the talk of the NFL after sending star linebacker Khalil Mack to the Bears. While owner Mark Davis and head coach Jon Gruden were the two pushing for the trade, it’s uncertain how much general manager Reggie McKenzie had to do with the deal. Gruden clearly has the ear of his owner, emphasized by the organization dealing off many of McKenzie’s draft picks. There have been rumblings that the Raiders could be preparing to part ways with the general manager, although Gruden was clear it was an organizational decision to trade off Mack. The Rams tried trading for Khalil Mack before he was ultimately dealt to the Bears, according to Gary Klein of the Los Angeles Times. Rams COO Kevin Demoff said the team “offered a pretty aggressive package” but that the Raiders ultimately turned it down because they thought the Rams were “going to pick too low.” Jon Gruden made clear earlier this week that one of the primary concerns when trading Mack was getting picks from teams they thought would be drafting in the top half of the draft. Acquiring Mack would’ve probably made the Rams the favorite to represent the NFC in the Super Bowl, and would’ve meant very low draft picks going back to Oakland. Still, it’s fun to envision a defense with Mack and Aaron Donald lining up next to each other. With all the recent extensions the Rams have doled out, it’s unclear how they would’ve been able to make a Mack mega-deal fit into their salary cap, but apparently the team felt confident they’d be able to do it. The Rams under GM Les Snead’s leadership have been aggressive in free agency and in trades, and have seemingly been in on every big name player. A Mack trade to the Rams would’ve made things especially interesting as the Rams play the Raiders in Week 1, on Monday Night Football.